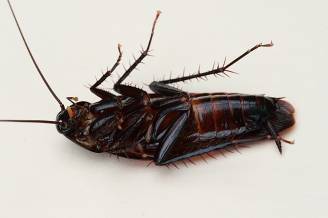 Pest Control Brisbane Services - Knockdown bugs in your home. 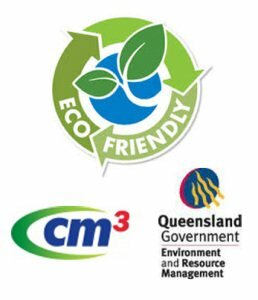 Retaining the services of a professional Brisbane pest control company will benefit homeowners in a number of ways. A reputable company will not take a ‘one size fits all’ approach. They will tailor a specific solution to your needs. Regular inspections and treatment may seem expensive, but in reality, the cost is insignificant when compared to treating health issues and the damage that pests can cause. A termite infestation, for instance, can cause structural damage that can cost thousands to remedy. When over the counter household pesticides fail then it’s time to use industrial strength solutions. For the average homeowner using these chemicals can present a challenge – and misuse can have severe consequences regarding health. Most reputable firms are tremendously flexible when it comes to scheduling inspections and providing eradication services. Rather than take time out of your busy schedule an eradication firm offers a service that lets you go on with your life. Eliminating insects from a home is a complicated business. Each type of pest may be susceptible to specific methods. For many homeowners, the choice of control methods can be bewildering – and the consequences of using the wrong approach can be severe. Treating a wasp or bee infestation with the wrong chemicals can result in swarming behavior, rodents will scatter and present even more of a challenge if correct baiting or trapping techniques are used. Cockroaches can build up immunity to commonly used poisons. The task of eliminating pests is best left up to the professionals. Using a professional company will save you money, time and protect your family’s health. When faced with pest challenge it’s merely good sense. A pest infestation is something that almost every homeowner across Australia will face at some time or another. Contrary to popular belief even the most hygienic home can fall prey to an infestation – and this can be bad news for children, adults and the elderly. A variety of pests have been implicated in issues that can affect the health of those in the home. These problems can range from asthma to allergies and in some severe cases pests can cause direct bodily harm in the form of bites. Insect and rodent infestations can lead to breathing difficulties and food contamination and increase the health risks for people who suffer from allergies. Damage to household goods and foodstuff can add significantly to monthly household expenses. Some common sense precautions can be taken to reduce the likelihood of infestation such as regular cleaning and securing of refuse bags, as well as ensuring that open containers of food are not left unattended. However, once an infestation has gathered momentum, common household pesticides may not be enough. It cases like this the services of a professional pest control company are required.